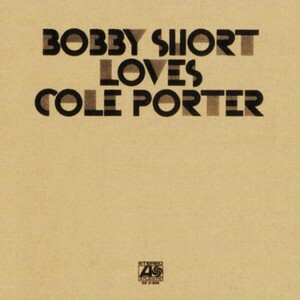 As promised, Bobby Short Loves Cole Porter. Now, I know other standards singers. I had never heard of Bobby Short and I guess I should feel silly for not? I mean, he was on The Love Boat! I vaguely recall LOVING that show as a kid. Again though, that show was a choice of my mother’s. She was also a Dynasty watcher, which hugely hindered me in college in the South. Absolutely everyone, EVERYONE watched Dallas. According to everyone there, I may as well have grown up in the North…. Back on track! This album was released in 1971 on Atlantic. Bobby Short was famous for his covers, so really, who better to cover? Would this album hang today? Absolutely no. Is there something really, really charming about it? Absolutely yes. It requires the exact right mood and timing, which is pretty normal for album listening. When I clean, I listen to LCD Soundsystem’s 45:33. What would I do while listening to this, were it to be something I deliberately pulled? Um. A stormy evening, where the lights are turned on early because it’s just that dark outside. Plus, Cole Porter songs are great. They have a transportive, tale-telling nature to them. I don’t remember when I was first introduced to Cole Porter. I do remember when the Red Hot Organization put out the first of their compilation albums, covers of Cole Porter songs and I knew the lyrics well enough to sing along back then. Now THAT album speaks to me. I’m not saying Bobby Short is bad. At all. It’s not something I would throw on for friends though, unless that’s exactly what we were doing.